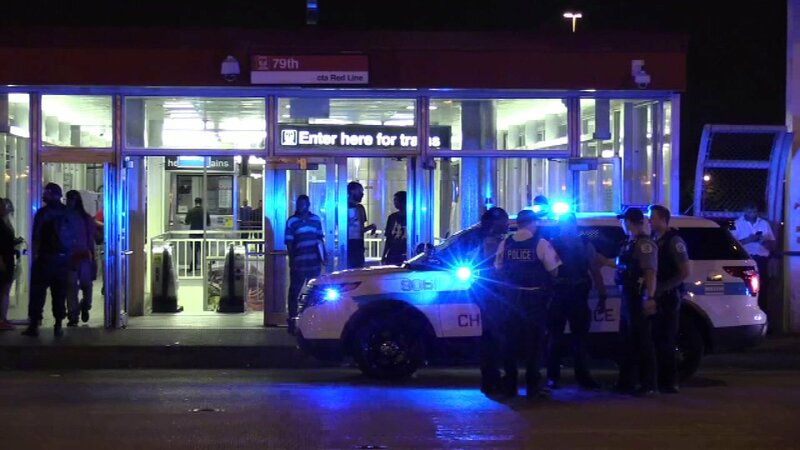 CHICAGO (WLS) -- Chicago police are looking for the person who shot a man with a BB gun or pellet gun as he exited a CTA Red Line train at the 79th Street station. The 48-year-old man was hit in the neck around 11:10 p.m. Tuesday. He was transported to Advocate Christ Medical Center for treatment. He was not badly hurt. There was another report of a truck driver who was hit by a BB or pellet that came through his driver's side window late Tuesday night, as he drove south on the Bishop Ford Freeway near 115th Street. He was taken to a hospital by ambulance. Police have not said whether the two incidents were related.